Ever since she can remember, Rebecca York has loved making up stories full of adventure, romance, and suspense. As a child she corralled her friends into adventure games or acted out romantic suspense stories with a cast of dolls. But she never assumed she could be an author because she couldn’t spell. Her life changed dramatically with the invention of the word processor and spelling checker–and the help of her husband, Norman Glick, who spots spelling errors from fifty paces away. Rebecca’s Career Achievements. A New York Times, USA Today, and Publishers Weekly best-selling and award-winning author, Rebecca has written over 145 books and novellas. In 2011 she became the dozenth author to receive the Romance Writers of America Centennial Award for having written 100 romantic novels. Her Killing Moon was a launch title for Berkley’s Sensation imprint in June 2003. Five more books in the series have followed. Nowhere Man was the Romantic Times Best Intrigue of 1998, and the book has been selected as one of their Reviewers’ “all-time favorite 400 romances.” In addition, she received the 1998 Affaire de Coeur Critics Choice Award for Best Contemporary Novel, also for Nowhere Man. Rebecca’s book, Amanda’s Child, won the 2001 New Jersey Romance Writers Golden Leaf Award for Long Contemporary and was nominated for Best Intrigue of 2000 by Romantic Times. The Secret Night and More Than a Man both won RT’s award for Best Harlequin Intrigue of the Year for 2006 and 2009, respectively. Rebecca enjoys cooking, walking, reading, gardening, rock collecting, travel, and Mozart operas. She collects rocks and has been known to lug stones back from Hawaii, Ireland, and Alaska. 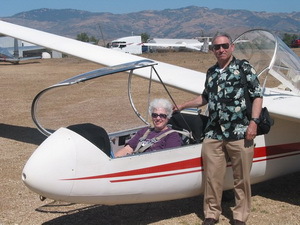 Rebecca and her husband Norman travel frequently to research settings for novels and taste new dishes for cookbooks. 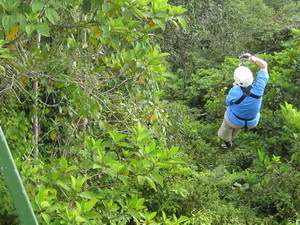 Trips in recent years included Russia, Australia, New Zealand, Norway, London, New Orleans, and Maui. Her many unique experiences are apt to end up in her books–like the time she encountered a coral snake in the Guatemalan jungle or took a flight in a hot air balloon. 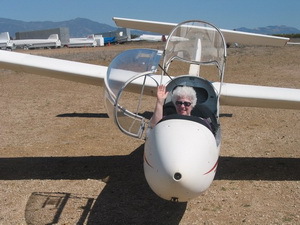 Photos below show some of Rebecca’s adventures–like training for a secret spy mission in a glider. 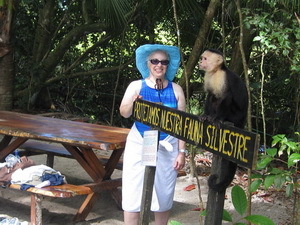 She’s also consulting an expert on Costa Rican rain forest travel and zipping through the rain forest herself. More about Rebecca. She and her husband live in Columbia, Maryland. They have two grown children, Elissa (a librarian) and Ethan (a Foreign Service Officer), and two grandsons, Jesse and Leo. Rebecca holds a B. A. in American Thought and Civilization from The George Washington University and an M. A. in American Studies from The University of Maryland. She heads the Columbia Writers Workshop. She is profiled in Who’s Who in America, Contemporary Authors, and Who’s Who of American Women.